. Liu T, Sun Q, Li Q, et al. Dual PI3K/mTOR inhibitors, GSK2126458 and PKI-587, suppress tumor progression and increase radiosensitivity in nasopharyngeal carcinoma[J]. 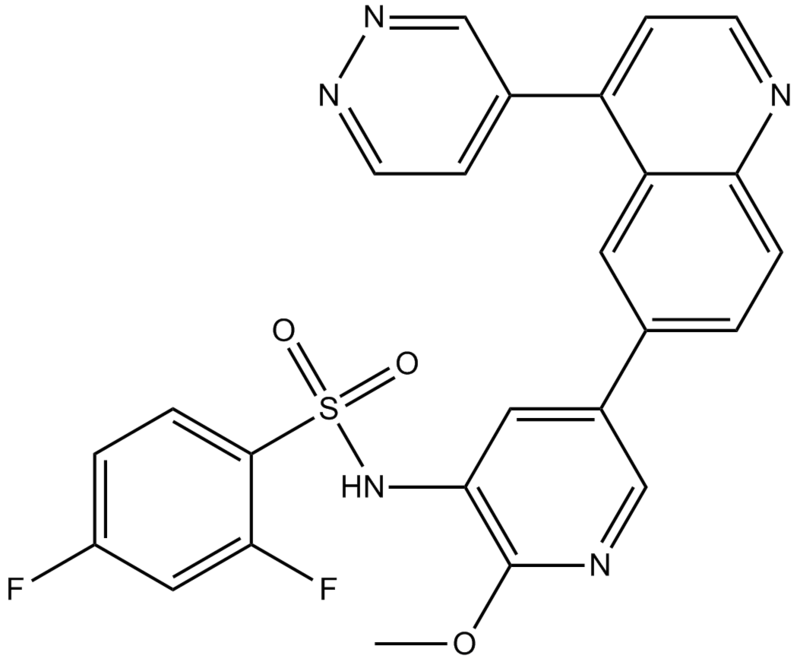 Molecular cancer therapeutics, 2015, 14(2): 429-439. 1. 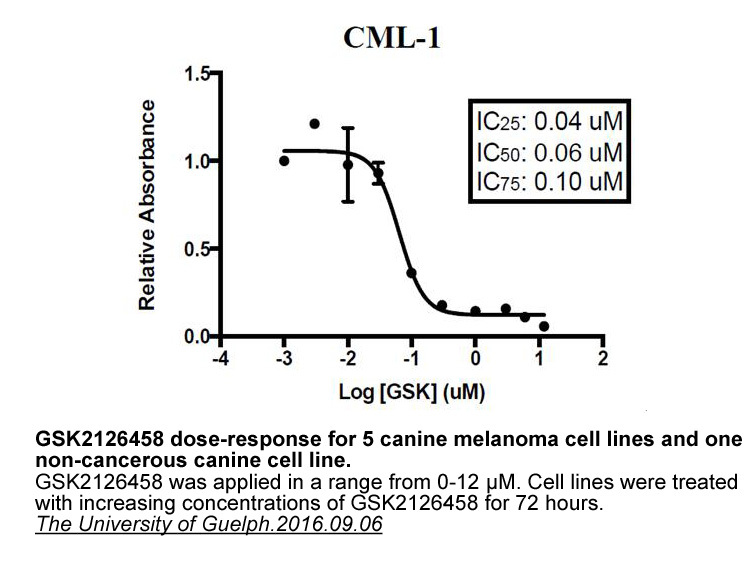 Liu, T., et al., Dual PI3K/mTOR inhibitors, GSK2126458 and PKI-587, suppress tumor progression and increase radiosensitivity in nasopharyngeal carcinoma. Mol Cancer Ther, 2014. 12. 2. Simpson, D.R., L.K. Mell, and E.E. Cohen, Targeting the PI3K/AKT/mTOR pathway in squamous cell carcinoma of the head and neck: Oral Oncol. 2014 Dec 17. pii: S1368-8375(14)00351-0. doi: 10.1016/j.oraloncology.2014.11.012. 3. Villanueva, J., et al., Concurrent MEK2 mutation and BRAF amplification confer resistance to BRAF and MEK inhibitors in melanoma. Cell Rep, 2013. 4(6): p. 1090-9. 4. Kim, H.G., et al., Discovery of a potent and selective DDR1 receptor tyrosine kinase inhibitor. ACS Chem Biol, 2013. 8(10): p. 2145-50. 5. Knight, S.D., et al., Discovery of GSK2126458, a Highly Potent Inhibitor of PI3K and the Mammalian Target of Rapamycin. ACS Med Chem Lett, 2010. 1(1): p. 39-43. 6. Zhang, Y., et al., Screening of kinase inhibitors targeting BRAF for regulating autophagy based on kinase pathways. Mol Med Rep, 2014. 9(1): p. 83-90.